If you are looking to buy or sell a restaurant property or any other hospitality type property, not any New Jersey Commercial Real Estate broker will do. Confidentiality is a precondition when considering a sale. Therefore, the sale of a restaurant demands the engagement of professionals who are experienced in the hospitality business and real estate marketplace. Such professionals can be found within the commercial real estate firm of Bielat Santore & Company, serving the business and real estate interests of restauranteurs since 1978. At Bielat Santore & Company, we understand that the sale of an operating business must be handled in a discrete and confidential manner. Our specially-designed selling system ensures that each transaction is managed from listing to closing by a qualified member of our firm, working in direct contact with the finest legal, accounting and banking minds in the business. Our selling cycle ignites immediately when a new listing arrives in our office, reaching over 12,000 qualified buyers that have been entered, stored and annually scrubbed in a database first created in 1982. Servicing the requests of several national restaurant chains in the 1980’s, Bielat Santore & Company, a New Jersey Commercial Real Estate firm, established a land development division to locate, contract and entitle for restaurant use, suitable highway sites. The company’s principals designed, developed and programmed a sophisticated computer software system to track liquor licenses in New Jersey and match them to each entitled site. As a result of their success assembling sites for national restaurant chains, the company began purchasing significant tracts of land and securing the entitlements and financing to construct large residential developments. To date, Bielat Santore & Company had entitled and financed over $1,000,000,000 in land development projects. Build relationships that will last, far after each deal is closed. Mr. Bielat is a partner in Bielat Santore & Company, a company he started as a boutique commercial real estate agency specializing in the sale hospitality related real estate and businesses in 1978. Since that time, Bielat Santore & Company has evolved into one of the leading commercial real estate firms in New Jersey. In 1982 he expanded his vision and created a premier land development business that has assembled, entitled and financed over one and a half billion dollars in residential and commercial real estate projects. Mr. Bielat’s experience includes the development and financing of over 15 large scale residential communities. In 2009, as a proponent of sustainable development, Mr. Bielat leveraged his financing capabilities to help fund both solar and fuel cell powered renewable energy projects. Mr. Bielat is a Licensed Real Estate Broker in the State of New Jersey. Real Estate and Business Brokerage, Contract Negotiation, Project Finance, Tax Planning, 1031 Exchanges, Land Assemblage, Land Use Planning, Entitlements, Conservation Real Estate Development, Sustainable Real Estate Development, Renewable Energy Finance, Socially Responsible Investing, Smart Growth, Green Infrastructure, Transit Oriented Development, Net Zero Energy Homes and Affordable Housing. Mr. Santore is a partner in Bielat Santore & Company. 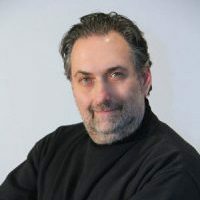 He began working with his partner Barry Bielat in 1982, initially as computer systems analyst, where he helped launch Data Realty, Inc., a public company that developed, programmed, packaged and sold complete real estate software systems to many of the largest commercial real estate corporations throughout New Jersey and New York. Mr. Santore has designed and implemented of all of the automated business systems currently utilized by Bielat Santore & Company. In 1985 Mr. Santore transitioned into the commercial real estate business on a full-time basis. His understanding of how to employ technology as a solution to meet the challenges encountered within the real estate marketplace has proven invaluable to his success. 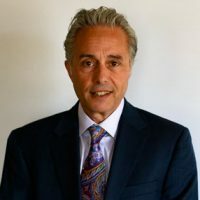 Mr. Santore has emerged as the firm’s lead broker and has forged long-term relationships with a substantial client base and with the professionals he works with. Mr. Santore is a Licensed Real Estate Broker in the State of New Jersey. Real Estate and Business Brokerage, Contract Negotiation, Project Finance, Private Investment Syndication, Transaction Processing, Business Valuations, Liquor License Transfer Processing, Client Consultations, Sale Leaseback Transactions, Enterprise Management, Business System Development, Automation and Computerization, Land Assemblage and Entitlements.